As of 2012, Carney's population is 29,941 people. Since 2000, it has had a population growth of 10.98 percent. The median home cost in Carney is $193,000. Home appreciation the last year has been -0.54 percent. Carney public schools spend $6,396 per student. The average school expenditure in the U.S. is $5,691. There are about 14.9 students per teacher in Carney. The unemployment rate in Carney is 6.90 percent(U.S. avg. is 8.60%). Recent job growth is Positive. Carney jobs have Increased by 0.89 percent. I Specialize in helping buyers and sellers invest in real estate in the Baltimore County Maryland area including Parkville, Carney, Nottingham, Perry Hall, White Marsh, Middle River and the surrounding Greater Baltimore areas. I have 10 years experience in the real estate industry. As a REALTOR with Exit Preferred Realty., I bring special tools and solutions that exceed the expectations of my clients. 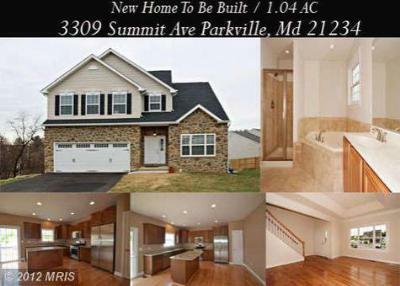 If you are considering listing your property in the Parkville Maryland area, ask me about our latest internet marketing systems. I would love the opportunity to earn your business and look forward to hearing from you.